After my post yesterday I recieved a few emails about the gift tags. Here's a little info on them. They are made by a company called Cavallini. I just adore these stamps! They are real wood with a rubber stamp on the bottom. Love. I cant tell you how many times I have used these for projects.Love. They are all nestled in their very own tin for safe keeping too.Love. As you can see....this is one of my fav's.Love. 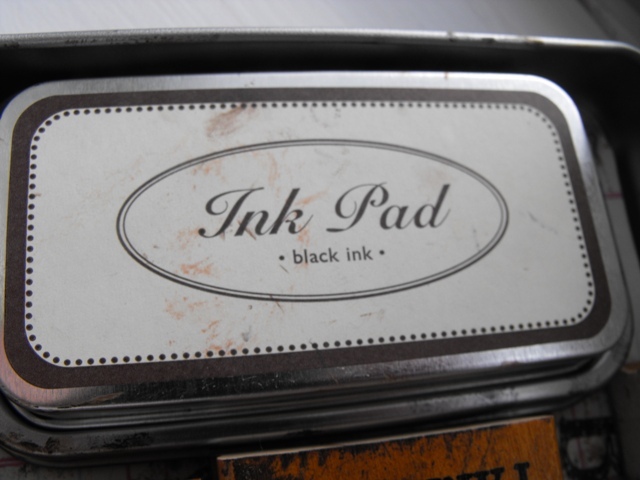 The set includes black ink as well but I use my own because I love brown! Love. For my tags I just used some mailing labels from Wal Mart. They already have a "sticky" side so all you need to do is stamp away~ love. You can add these to your Christmas cards too. Love. I wish I had a set to giveaway here but I dont. I dont think I could live without mine.....ha! I could however share a few labels with some of you. Smiles. If you would like your name in the hat just leave a comment here. 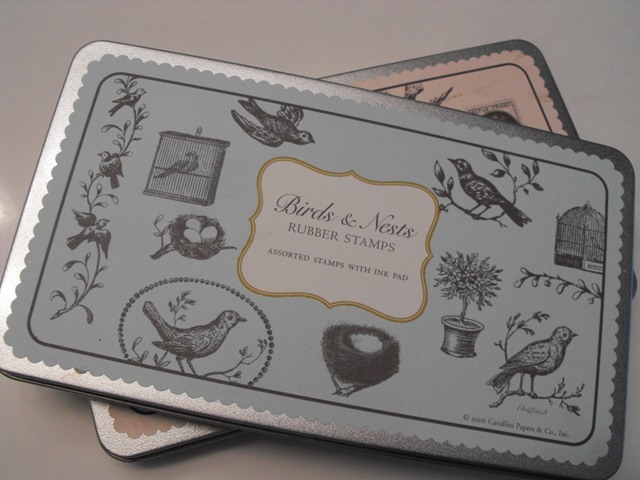 Do you have a favorite stamp / product you adore? Those are beautiful stamps. Such a great idea for making your own gift tags or personalizing postage! These are great! I'm sure you just sent them some biz...they need to give you another stamp set! Kendra aka Domestic Princess in Training"
All my favorite symbols and your ideas are wonderful too! Why are there more and more things to make and do every moment of the day and not enough moments, lol! Jennifer jennsthreegraces. How easy and pretty they look, much better than those ones you buy in the stores!! Those are so pretty..gonna go check them out right now! Can't pick just one...they're all gorgeous!!! So CUTE!! I love the topiary!! I am going to check these out! I've never stamped before but I love these! No I can't say I have a favorite but I love that one you have of the birds nest with the eggs, so cute. I don't have a favorite stamp set - I have to hide all of my crafty things right now since Lauren would stamp the floors and walls if she got near them! But I do love your sweet tags! I need to go look at those on their site! 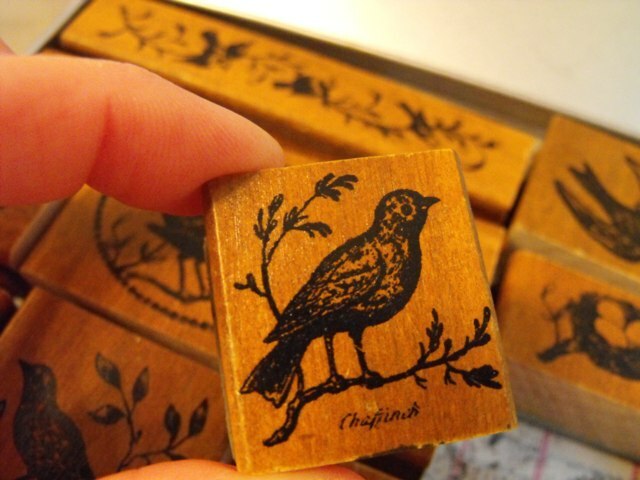 Oh my goodness--I have and love these stamps too. They are the best. I love Cavallini and Co. In the past, I have purchased quite a few Christmas things of theirs from stickers to tags to Christmas stamp sets. That reminds me that I haven't seen anything this year from them. 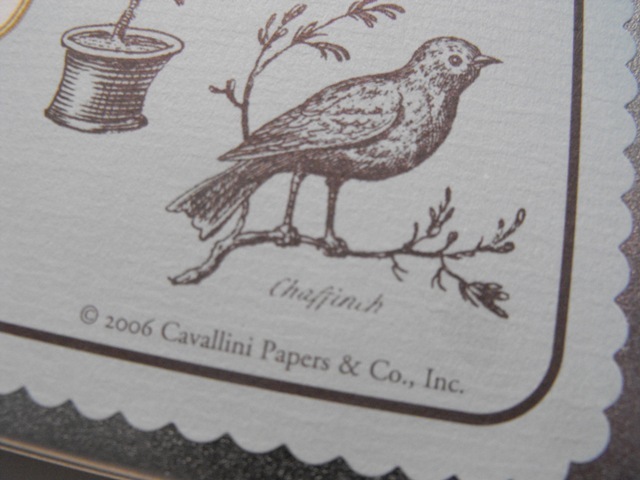 Cavallini makes gorgeous things (especially their paper products). I love their holiday stamps and tags too! My favorite is from a few years past - its a postal date stamped Dec 25th. Love it! I adore these. I think I've seen this tin at a local paper company and I always think they are so adorable. I don't know why I haven't pulled the trigger on getting them??! I've also seen some local craftspeople use them on their price tags and gift bag tags. Very cute!! Beautiful!! 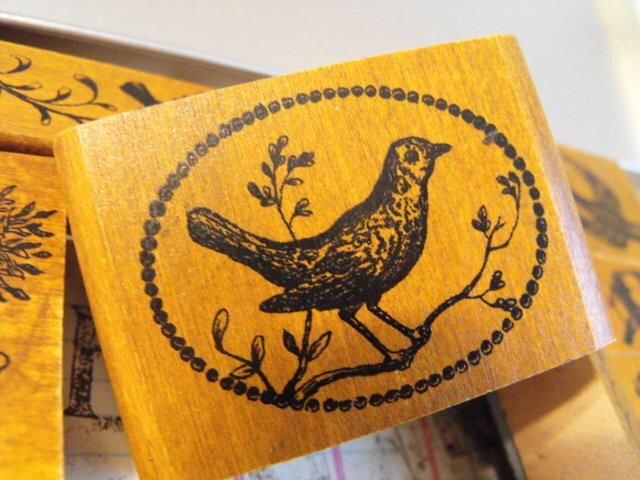 I haven't done very much stamping but this makes me want to start! I have a marbles stamp of my name in Chinese that I indiscriminately put on my stationary. Those are WAY TOO CUTE!!! I love them! Those are so cute! I would have never thought of doing that! Now I am going to go on a search for stamps and check out that website. Thanks for sharing! They are darling!! I don't do much stamping but my friend made me a large red fleur de lis on ivory cardstock and I LOVE that! I am going to check these out, too. My BBF would loves these. So cute and you are so talented. The only stamps I have now are butterflies (go figure : ) ), but I LOVE those! Especially the nest! Why have I never thought to buy Wal-Mart labels and do something like this? Great idea and great stamps. Love them too!! I have that same tin box in butterflies. Your labels are beautiful! Love the labels. What a great idea! The stamps are beautiful. I love the cards. So very sweet. We have finished work on our kitchen and I have finally posted some before and after pics on my blog. I have missed visiting. Things have been so busy. Hopefully, they will slow down now. Those are sweet stamps. I just bought a large stamp of french script writing. 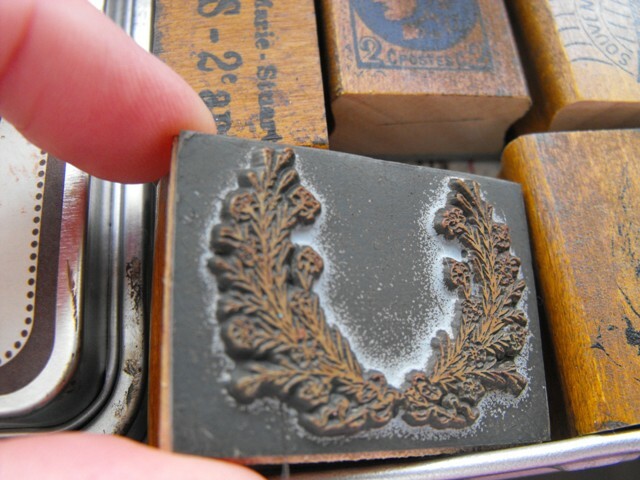 I like to use it as a background for my other favorite stamp, a fleur de lis. and I LOVE getting to borrow the whole bucket of stamps! Saw some tags by that company at Pottery Barn yesterday and thought of you! These stamps are amazing. I love the gift tag ideas! Today is MY sister's and her son's birthday as well! PS Thanks for the link for the stamps. Love them! OMG!!!! I want those stamps!!! They are A-M-A-Z-I-N-G!!!!! The 18th is my Grandbaby Noelle's birthday too. Only special wonderfully sweet people are born on this day! God Bless you and yours and Merry Christmas! Oh how cute are these? And is your bday the 18th? My anniversary is that day. 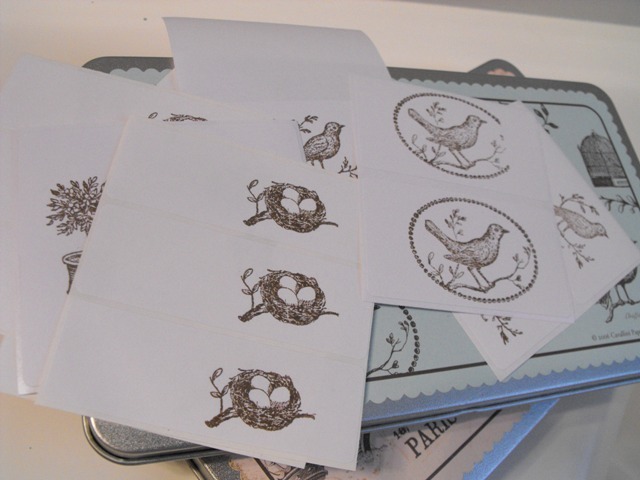 I love these little stamps...what sis it about a nest and some eggs that make me swoon? I hope you had a wonderful birthday. 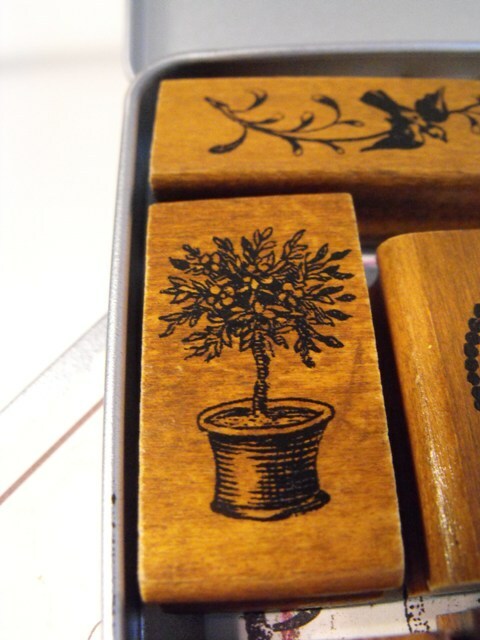 I love the topiary and would love to see some of the other projects you do with these stamps in case I can find a set. Lovely stamps, and the brown is definitely a nice touch! I'm glad to have found your blog today! Have a great week and Merry Christmas everyone!! Those labels are just darling! They are completely adorable. I have just a wee bit of a thing for birds, and I can hear it calling my name. 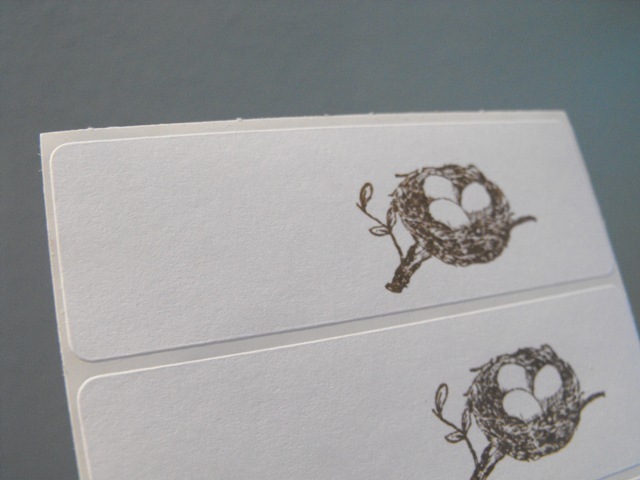 I just assumed the adorable labels were more complicated than just stamping regular mailing labels - what a clever idea. Your packages look wonderful. Happy Holidays Susie. Sending you belated happy birthday wishes. Those are beautiful. 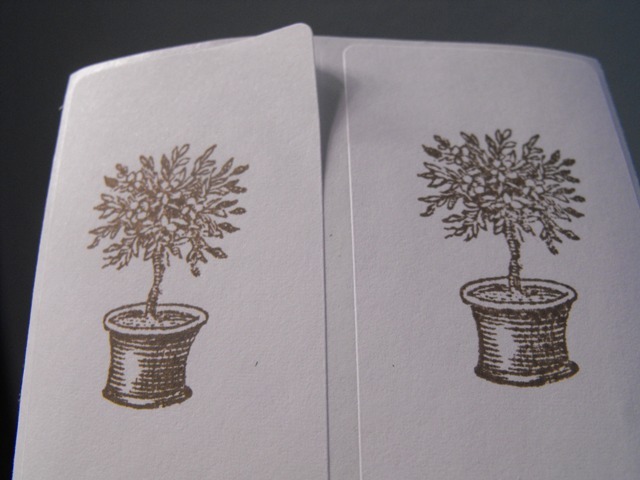 I borrowed my sis's Stampin' Up stamps and paint markers and they worked great for my Christmas cards. have a happy and blessing New Year..
one of your followers in Greece.. These are super cute!! Love 'em! These are so pretty! 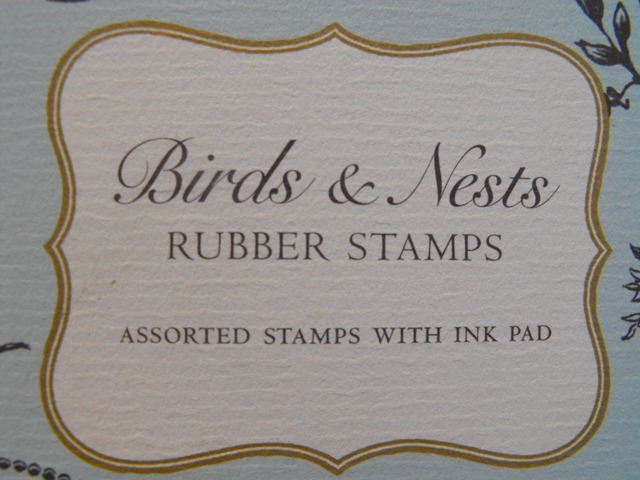 I do have a bunch of stamps but rarely use them. Maybe I should start! !